The awesome crew at toddland are returning once again to San Diego Comic-Con with some epic new exclusives! 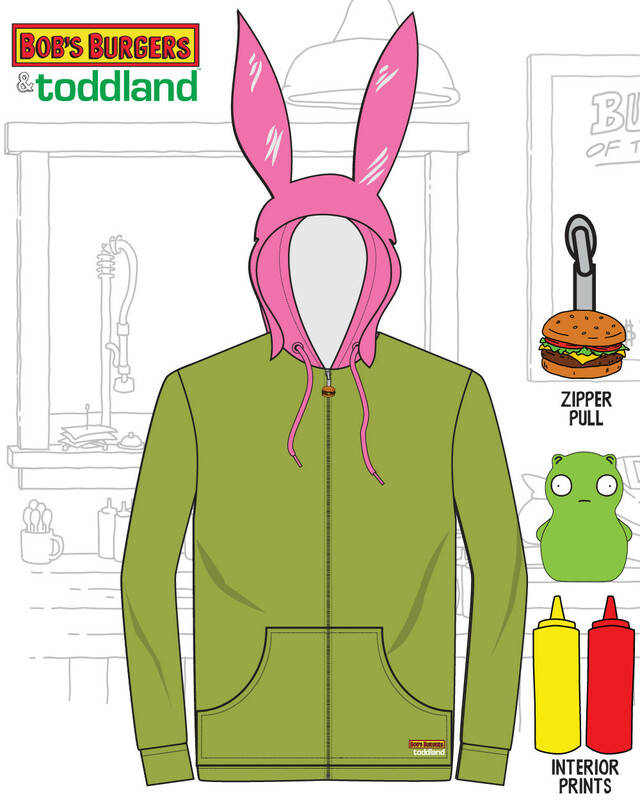 For SDCC 2016, toddland has teamed up with the hilarious FOX animated sitcom Bob’s Burgers to release a new San Diego Comic-Con 2016 exclusive clothing collection based on the long running television show. 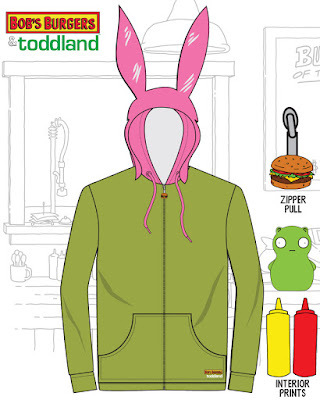 toddland seriously has everything in this super limited edition collection, from t-shirts, a crewneck sweatshirt and a Louise Bunny Ears Fleece Hoody, to sneakers, wallets and pillows. 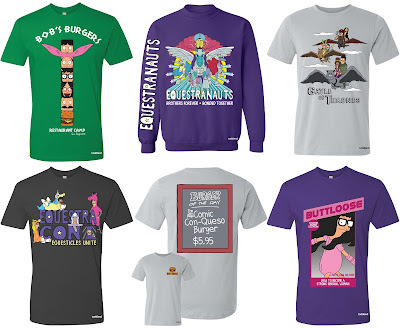 All of the San Diego Comic 2016 Exclusive Bob’s Burgers x toddland Clothing Collection seen here and so much more is now available at the toddland online store for pick-up at toddland's SDCC booth next month. These items cannot be shipped and are already close to selling out, so find a friend going to Comic-Con this year and get your orders placed ASAP!